We’ve decided with our schedules being unpredictable as of late, to change the format of our weekly Happy Hour post. Instead of sharing one link from several marriage blogs, we’re going to begin sharing one or more posts from one marriage blog. We hope this will give you time to get to know the couple and possibly become a regular reader of theirs. After all, we are only one small part of what God is doing across the internet. We know you’ll be encouraged, strengthened and at times, challenged as we have been. 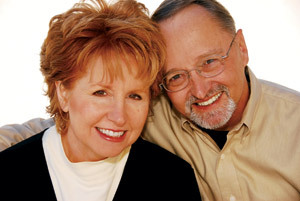 Meet Steve and Cindy Wright. – Here you’ll find their love story. When The “We” Breaks Apart – an excellent post that will help you face unresolved conflict in your marriage. Pray Scriptures For Your Marriage – did you know that praying for our spouse using the Scriptures is a powerful tool God has given us to help our marriage grow? This post provides examples of how to do this. Good Marriages Don’t Just Happen – If you have neglected quality time together as husband and wife, realize you’re heading the wrong way. Take some time to read this post if you read nothing else. It’s advice will help guide you out of this detrimental rut. If you have time, scroll down the right sidebar of MMI. Since Steve and Cindy have been posting Biblically wise counsel for over a decade, their site is a library full of every topic or problem common to marriage. Your marriage will be blessed! Now, won’t you take a moment and agree with us the following prayer for this excellent ministry? Father, we want to thank you for the ministry of Marriage Missions International. Thank you for the heart Steve and Cindy have to help those hurting marriages no matter where it is they call home. Inspire them for the road ahead. Give them the money and the help they need to keep going for your kingdom and glory. Most of all we thank you for what you are doing in their marriage, because they can’t give away what they don’t have. You have been glorified in the years they have served you. May rich blessings flow from You to them as we pray together for them. This entry was posted in Blog Love, Christian Marriage, Growing Strong Marriages, Happy Hour, The Gospel & Marriage and tagged Christ, Christian, Divorce, God, Jesus, marriage, Marriage Missions International, Relationships, Steve and Cindy Wright. Bookmark the permalink. That’s good to hear. Thanks for the feedback!